This volume in the Long-Term Ecological Research Network Series would present the work that has been done and the understanding and database that have been developed by work on climate change done at all the LTER sites. Global climate change is a central issue facing the world, which is being worked on by a very large number of scientists across a wide range of fields. The LTER sites hold some of the best available data measuring long term impacts and changes in the environment, and the research done at these sites has not previously been made widely available to the broader climate change research community. 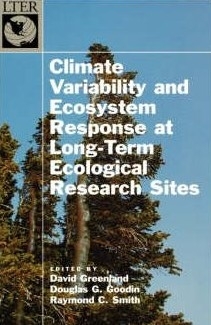 This book pulls together information from all 20 research sites.